One Dozen Birdie Balls and One Strike pad set. Birdie Ball's are great Fun and a terrific way to practice golf and play games with your friends. 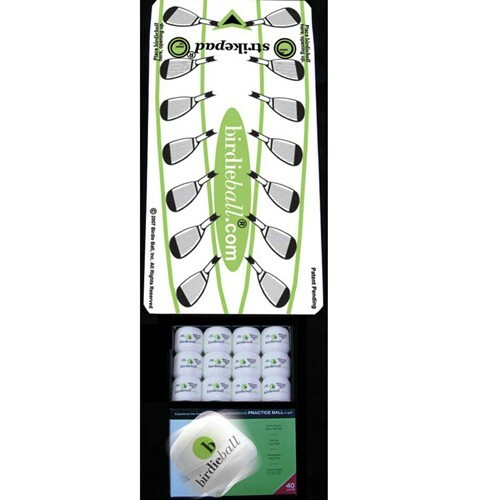 BirdieBall® is the best golf training aid invented this century! That's a bold statement, but golf coaches and PGA golf instructors around the world agree, and have voted it the PGA, Product of the Year in Orlando!